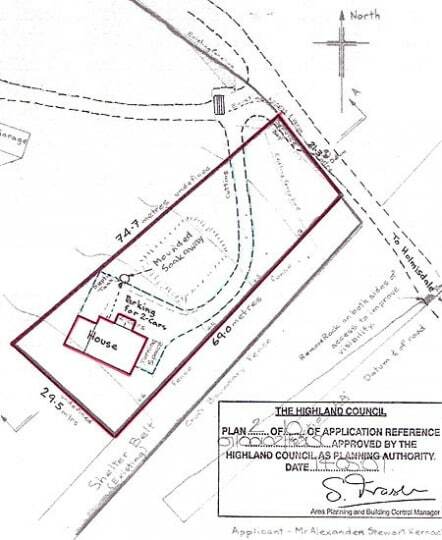 A building plot extending to ½ acre or thereby (to be confirmed with title plan). The subjects for sale comprise of a building plot extending to ½ acre or thereby (to be confirmed with title plan). Full planning permission was granted 14th May 2007 for the erection of a 4 bedroom (1 en-suite) 1 ½ storey dwellinghouse with attached garage although this has lapsed (plan can be made available to interested parties). 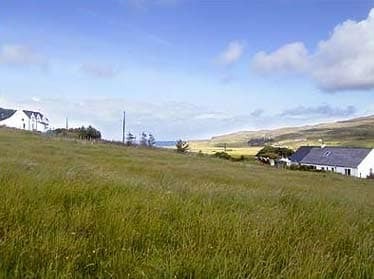 The site is located within the friendly community of Lephin and enjoys open views towards the village of Glendale and north towards Loch Poolteil and the Outer Hebrides. 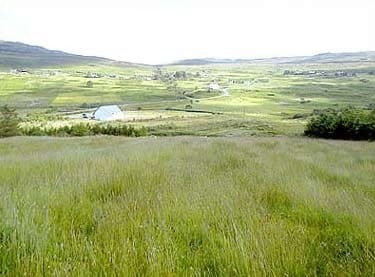 The area of land slopes gently downwards towards the township road and this is where an access road would be formed. It should be noted that mains water connection has been granted to this site. Lephin is located some 32 miles north west of Portree, the islands capital and some 10 miles from Dunvegan, the nearest main village. Facilites within Glendale include a local primary school, village shop and post office, a tea room, various craft outlets and a new community centre. 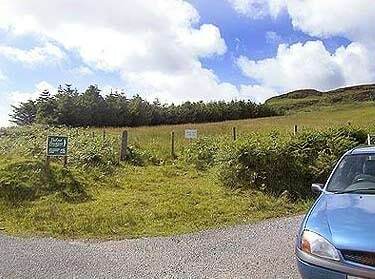 Enhanced facilities such as modern medical centre, hotels, restaurants, a selection of local shops and petrol station are available in Dunvegan. Secondary schooling is available in Portree. Descent into Glendale, pass the Fasach road end, over the river Hamara bridge, follow the road round and take the first turning on the left, signposted Lephin. The plot is located approx. 200 yards along this road on the right hand side. Mains water, electricity and telephone are close by. Sewerage disposal would be by way of a septic tank. It is the responsibility of any prospective purchaser to assure themselves of the availability of such services and for the costs of installation. 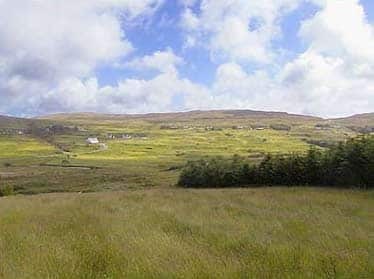 £52000 (Fixed Price) and such offers should be submitted in proper Scottish legal terms to The Isle of Skye Estate Agency.